There are fun DIY projects that you can do like build a swing set for you kids or grow tomatoes in a vegetable garden and then there are chores that you need to get done. Seems like I’m doing a lot of chores lately and haven’t had much time for the fun projects. For example this weekend I was power washing pavers for about 10 hours. I started this blog because I’m always working on DIY projects and thought it might be useful to the Internet to create some content about it. I know that I’m always searching for things like, “how to plant grass seed” or “build a picnic table with lumber from Home Depot”. Most of the time when I search for something I find some good content that someone was nice enough to publish and it helps me with my project. This blog is a way for me to contribute to the pool of DIYer information out there. Somewhere along the line I came up with the goal of doing DIY projects (and cooking & tech stuff) and blogging about them as a full-time career. Years later, I’m still not doing this full-time and I’m no where near making that happen. I’ve made some money blogging and through the blog I got a book deal and now I’m a published cookbook author. So in order to take this blog and the lightly watched GoodStuffAtHome YouTube channel to the next level the goal is to publish 3 posts a week and a YouTube video. This blog is averaging about 1 post per week and I haven’t done anything with YouTube for a long time. The blog’s three posts are supposed to be from the three main categories. One about food and drink, one about DIY and one about Tech. You know what? I don’t always have time for cool blog worthy projects. I should have created a category about doing homeowner chores like power washing pavers. 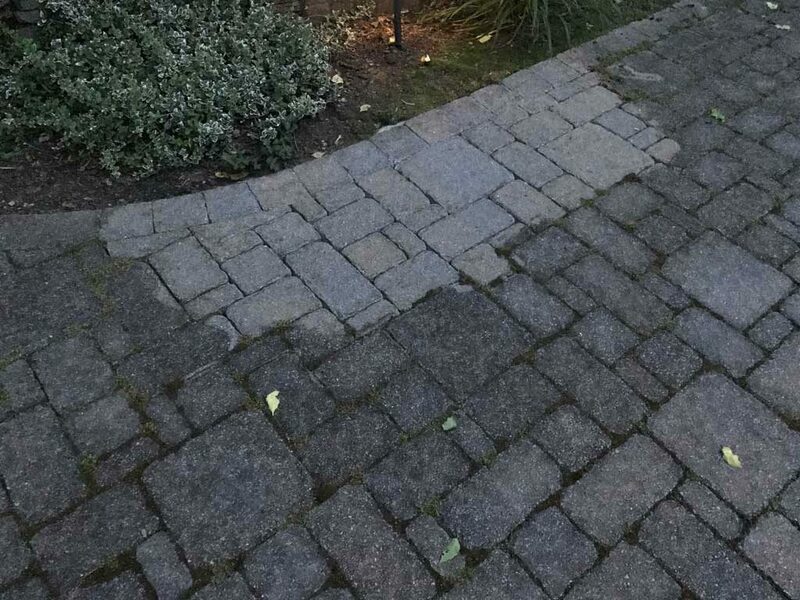 Sure power washing pavers is something that has to be done and you can take great before and after pictures. But is it really something that’s interesting enough to put on the blog or YouTube? No, not really. But that’s what the goal is. Put my projects up online. I hope that readers are either entertained by my projects and writing or maybe someone stops by while doing a search and they find the information that they need to get their DIY project done. That would be great. But I can’t build a raspberry pi mirror or a 14 foot picnic table when I’m power washing pavers for 10 hours. First of all because that’s the whole weekend. And when you work outside for 10 hours After that I’m exhausted and mentally wiped. There’s not much that I’m capable of doing after that except vegging in front of the TV. And then there’s work. I work in a IT department here in NJ and that’s my 9-5 job. That takes it’s toll too. Hey listen I didn’t want this to become a gripe session but I wanted to explain a little bit about how I’m creating content. I spent all weekend power washing pavers. These patio pavers look great but some are directly beneath a bunch of trees. These trees are quite fond of dropping all kinds of crap on the pavers year after year. 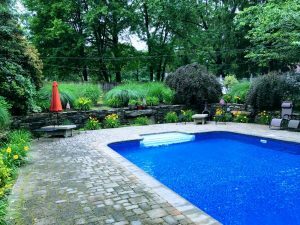 Over time, the polymeric sand that’s put in between the pavers, washes out, blows out, it may even decompose, who knows. Well ten years later, the cracks had more soil in there than sand. And that’s all weeds and moss need to grow. Lots of people like the mossy look but I’m not one of them. My wife is definitely not one of them either so out comes the power washer. 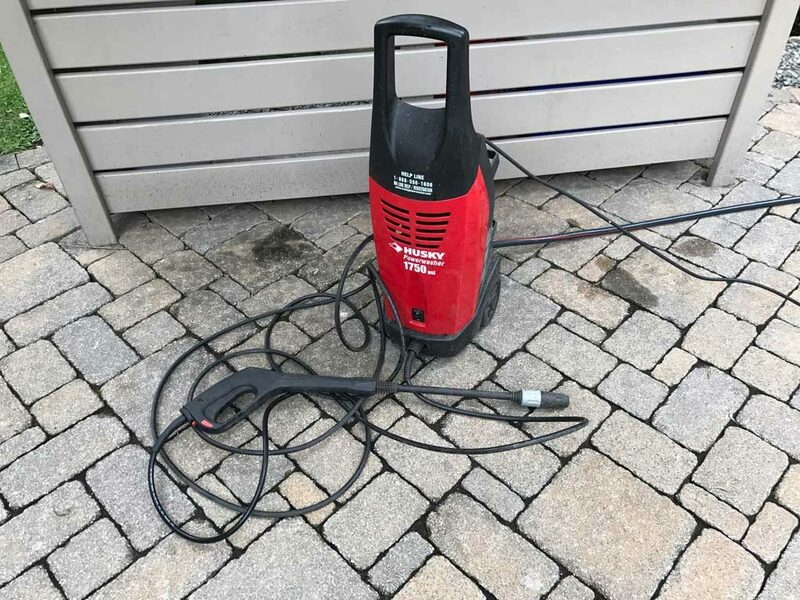 They sell and little Rumba looking attachment for some pressure washers that you push around and it makes short work of a floor area like a patio or a roof. Well I don’t have one of those. What I do have is persistence. I aim that pressure washer and just go back and forth, over and over for a long time until it’s done. It’s sort of like coloring. Take your time and stay within the lines. Unfortunately with pavers you really can’t control which way the chunks of moss fly out. I had to spray from directly above them to get it all out. You can’t go in at an angle and point the washer the way you want the debris to fly. You have to go from the top and that sends the wads of dirt and moss and weeds in whatever direction it wants to go. A lot of this crap went in my pool. It took two weeks, several extra pool vacuuming and 2 bottles of clarifier to get my pool back to it’s glory. It didn’t help that we had a monsoon of a rain storm that was very acidic. That meant that I also had to fight an algae bloom while I was trying to get the clarity back to normal. 16 pounds of alkalinity up and some PH up did the trick. To avoid getting the muck in the pool, next time I’ll build a little mini wall. I can build the wall from some plywood and it’ll stand up on it’s own. I can put it in between me and the pool. That should stop most of the muck from getting in the pool. Oh well, you learn as you go. 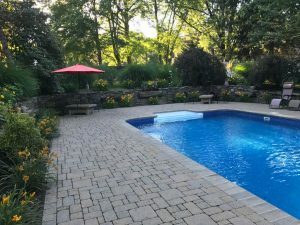 Maybe someone will find this post before they power wash their pavers next to the their pool. Then they can build a little wall and avoid the pool problems I had. 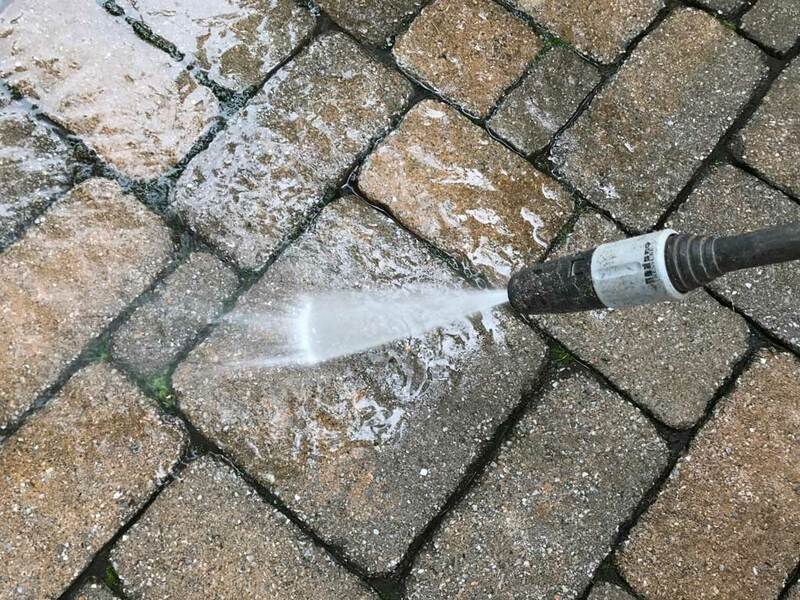 So to review, I spent my weekend power washing pavers. What did you do?